A banking job requires a keen understanding of finance and bookkeeping. However, a banking job in today’s world does not necessarily limit itself to only dealing with finance. Banks provide their customers with a range of services. Their services not only include the safekeeping of their customer’s assets, but they also provide loans, insurance policies, financial advice and a host of other services. A job in the banking sector can make a lot of demands on the candidate. Someone looking for a banking job must possess personal skills and a good academic record in order to get selected into a banking institution. In the end, it all boils down to the interview and having a good banking resume. Sometimes, being eligible for the job is not enough to get the job. A good resume can make a huge difference. The candidate must do his research and create the best banking resume that will stand out amongst other resumes. When writing a banking resume, blindly following an existing resume template or just skimming through some sample resumes will not be enough to get an idea of what is necessary. 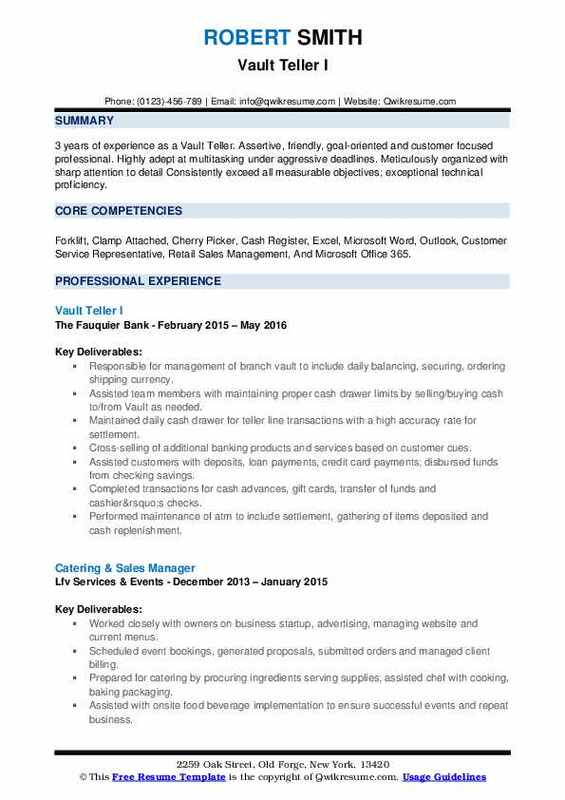 It is vital to look into some examples of the latest banking resume in order to truly formulate a strategy to make a resume better than the industry standards. The headline of a good Banking resume must be able to pique the interest of a reader at a first glance. Since the field of banking is practical and technical, it is best to be direct and concise while framing a header. It is advisable to use professional terms that explain the prime characteristics of the applicant. Looking for the position of Audit Controller at *bank name*, where I can put to work my five years of experience as an audit controller. Interested in the position of Income Tax Consultant in *bank name* in order for me to help the organization with my excellent skill set and also learn further from your organization. Looking for the position of a Financial Auditor in your organization in order to expand my ten years of experience in previous organizations in both private and public banking sectors. Interested in the position of Tax Auditor in your company as I feel it is perfect to match my goal oriented attitude along with my keen eye for Accounting statements and numbers. Looking for the position of Financial Advisor where I can put to use my experience and skill set as a team worker and target achievement exercising my vast knowledge of financial risk management. 5 years as the Chief Financial Advisor of FSG Bank leading teams and building efficient strategies to improve the organization. Highly professional, skilled and certified Chartered Accountant with efficient problem-solving skills and a keen interest in Accounts. Project Manager with a proven success record in previous jobs, specializing in efficient management and accounting skills. Tax auditor with a vision to building more efficient ways of getting the job done by using my expert skills of book keeping and document analysis. Insurance sales manager specializing in developing sales schemes that have proven to increase clientele of previous banks by over 25%. The important factors to incorporate into this section of a banking resume are – what the candidate did at their previous workplaces, the skills they used and how they added value to their employers. Usage of these words in a banking resume is advisable. The skill section of a resume is dedicated to showcasing the skills that a candidate possesses. 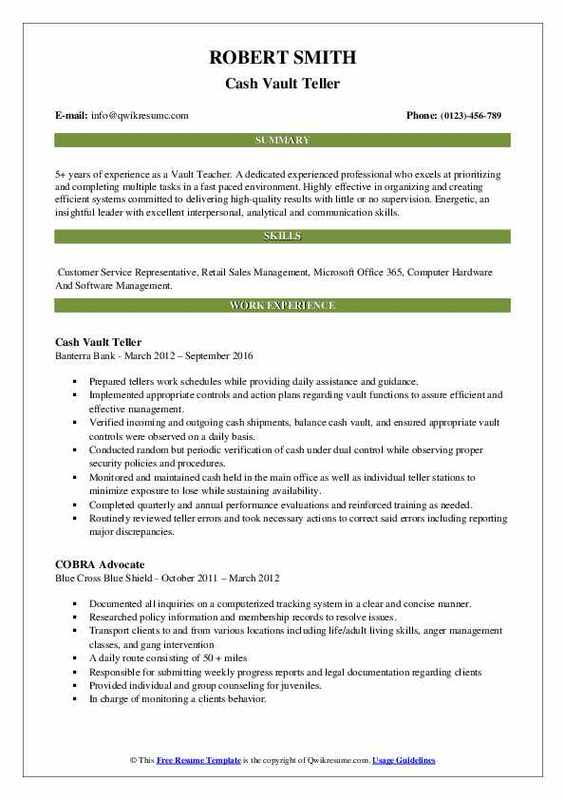 Any key skill that has not already been mentioned in the resume should find place here. 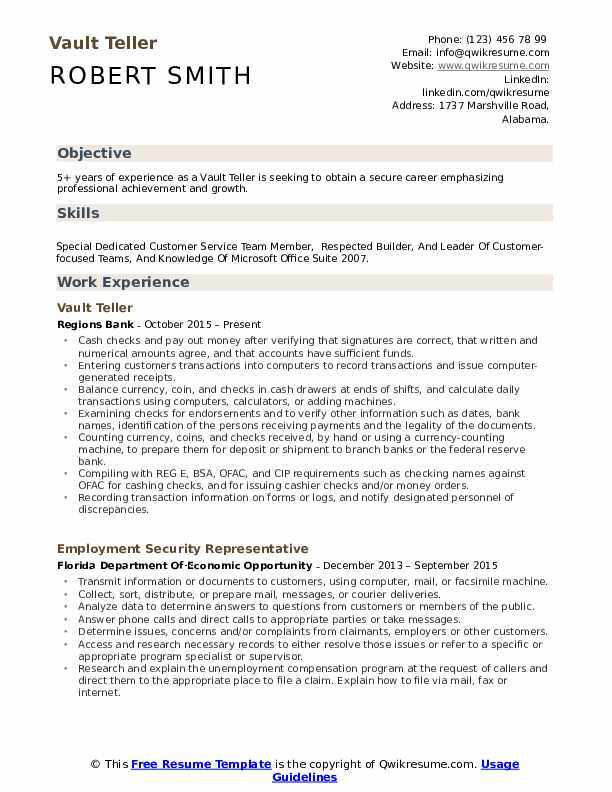 Here are some things to keep in mind when writing down the list of skills for a Banking resume. Differentiate character trait from skills – Having a passion for work is not a key skill, it is a personality trait. Mentioning irrelevant information in this section is not beneficial. Proof – backing up of mentioned skill sets is necessary to give the resume credibility. Just mentioning a skill set isn’t enough, providing validation or certification is necessary. Do not mention, “Great with computers” or “proficient at Microsoft Word”. These skills are a norm and do not count as a skill. It is better to keep in mind the job position in question while mentioning skill sets on a resume. You should mention the skills that are suited to the job. Certification – Irrespective of the job, a certification shows academic quality and competence. It is important to mention certifications earned by the candidate. Hobbies and Interests – These speak a lot about the nature of an applicant. These can make him or her come off as a productive and creative person which increases the chances of selection. Seminars, conferences attended – These factors show how keen a candidate is regarding certain issues. Presentations, papers, publications – These always constitute an added benefit in the field of Banking and financial services. Having such qualities command respect. Online presence – Blogs and social media presence is considered as a positive quality and must be mentioned. The number of jobs in the banking sector is all set to increase in leaps and bounds over the next five years. With most developing countries still trapped in the clutches of a rural system, banking sectors are set to expand their reach into such areas liberating millions of under privileged people with banking services. Countries that are already developed too have quite a lot of scope for aggressive expansion in the field of Banking. This is due to technological shifts. With new technology racing in, the need for efficient workers who are adept in both technological up gradation and financial knowledge is rising. Despite the efforts of making all banking services automated, the demand for efficient workers has steadily grown. This is due to the fact that new technology needs expert handling. The future of students looking to enter the field of banking services is very bright as globally the requirement of such professionals is set to increase. Resumes play an integral part in the modern world. They serve as the key to pathways of job security and personal glory. In this day and age of cut throat competition it is necessary to always stay a step ahead. Having the right resume containing all the aforementioned factors is vital to be considered for a job in a big company. 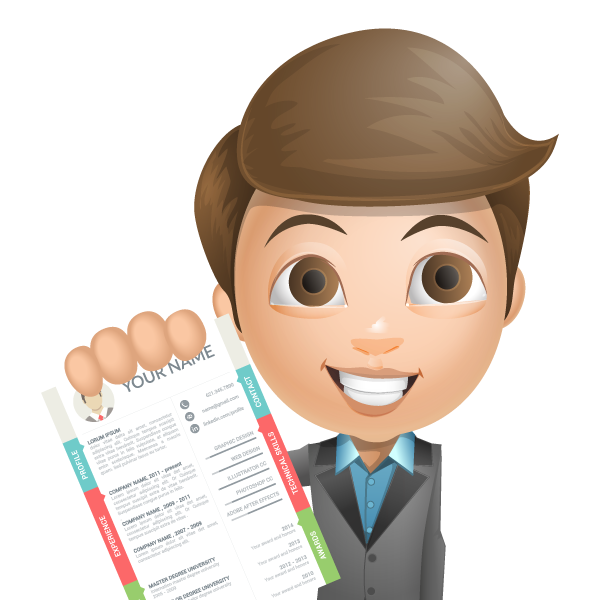 Resumes serve not only as a document full of an applicant’s information, they mark the first meeting between the employer and potential employee. A good resume can prove to be the foundation of a long and healthy relationship between the two.